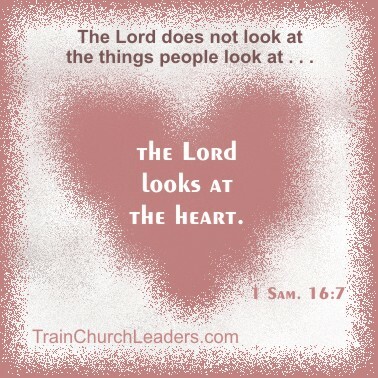 God looked at David’s heart when choosing him as king of Israel (1 Sam. 16:7), knowing that he would shepherd them “with integrity of heart” (Ps. 78:72). God isn’t just concerned about what leaders do but how they do it which should be evidenced in all they do — even staff evaluations. When thinking about doing staff evaluations with integrity, perhaps Jesus’ teaching in Matthew 7:1-5 can give us some guidelines. At first glance it might appear He would be against evaluations as He begins this discourse with “Do not judge, or you too will be judged.” As we continue we find the context allowing us to help others see how they can improve but also specifying that it must be done without hypocrisy … hence, with integrity. Perhaps Jesus’ beginning statement about not judging refers to the kind of self-righteous judging in which we set ourselves above others when in reality we too struggle with issues that might even surpass that of the person we are evaluating. We do not sit above others as their magistrate or authority even if we are in a position of leadership. We are all ultimately accountable to God. Our approach to staff evaluations should come from a stance of mutual submission (Eph. 5:21) as members of one another (Rom. 12:5). If we get hung up in feelings of superiority, we will be more prone to hypocrisy, trying to take the “speck” out of the person’s eye when we have a “plank” in ours. Our own issues can cloud our vision. We might not address certain issues that should be shared in the evaluation. We might project ourselves onto them and misinterpret their motivations or attitudes. If you want to be more objective, you need to deal with the “plank” in your own eye first. If, in a staff evaluation, you do have to deal with something you also struggle with, be honest. Follow the instructions of James 5:16 to “confess your sins to each other and pray for each other so that you may be healed.” To act like you have it all together when you don’t is hypocritical. Your honesty, on the other hand, can be helpful to the person being evaluated. You can pray for each other and hold one another accountable. Next → Next post: Staff Evaluations: Being Truthful?